The lower Zambian stretch of the Zambezi River includes a handful of excellent camps and safari lodges bordering and within the Lower Zambezi National Park.  They’re small, independent and owner managed outfits offering exceptional standards of hosting and guiding with fantastic game conditions to boot. The main safari season for the lower Zambezi runs from May to early November. The lower Zambezi River runs downstream from Kariba Gorge to the Mozambique border. The lower stretch of the river on the northern shoreline of the Lower Zambezi National Park is surrounded by Game Management Areas (GMA’s). This park lies directly opposite Mana Pools National Park (which in itself is situated within the larger World Heritage Site and even larger Middle Zambezi Biosphere Reserve). This part of the valley with its riverine forests, broad flood plain and woodlands in the hills towards and beyond the escarpment provide excellent habitats and the birding is spectacular year round. Access into the National Park during the green season is available but restricted. Just two camps stay open year round. Another option is to canoe the shoreline during the rainy season – late November to mid-April. Dry season from May to October sees the wildlife congregating near the river in the dry season and everyday sightings of large, majestic Zambezi elephants are assured. 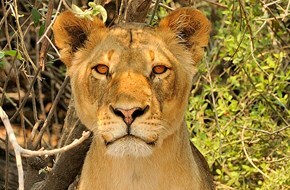 Lions are also spotted frequently, as are leopard, and packs of wild dog also frequent the area. 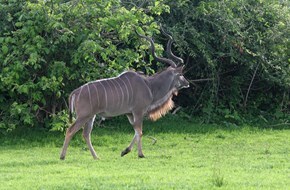 Buffalo, plains game and antelope are very common. With a birding checklist of nearly 400 species there’s no shortage of photographic opportunities. A pack of wild dogs cross the Luangwa River, Zambia. We recommend Botswana’s Moremi and Linyanti in June; Tanzania’s Selous in July and August; Zimbabwe’s Mana Pools and Hwange during the dry season from June to October. The Kafue National Park in western Zambia has superb wildlife and is easily partnered with Victoria Falls. Visit our 5 night Kafue and Victoria Falls safari to see how this can be done. 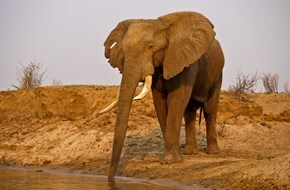 Largest land animals on earth, the African elephant used to range widely through sub-Saharan Africa. Despite being threatened by habitat loss and ivory poaching African elephants have healthy populations in east and southern Africa. Best places to see elephants include Mana Pools and Hwange in Zimbabwe, Chobe and Linyanti, the Luangwa Valley, Selous, Katavi and Amboseli. Celebrated in history for their courage and strength when they roamed most of Africa, parts of Asia and Europe. Nowadays the best places to see lions on safari are the Zambezi, Hwange, Okavango and Linyanti – ideally May to November; Queen Elizabeth NP’s Ishasha area for tree-climbing lions; Katavi’s Kapapa River in September to November; Kidepo Valley.